Q. Q: Does La-Z-Boy Incorporated manufacture recliners for children? A. A: We are sorry but we do not manufacture recliners for children. Q. Q: The style that I purchased does not come with arm caps or headrest covers, why? A. A: La-Z-Boy Incorporated does not provide armrest or headrest covers as a standard feature for any of our furniture. Customers may choose to purchase covers on a charge basis through their local La-Z-Boy retailer. The covers are napkin style and all have the same finished size, 16-3/4" x 16-3/4". We do not offer fitted armrest covers. If you would like to make your own covers or have a local upholsterer make them, please contact your local authorized La-Z-Boy dealer to see if fabric yardage is available to purchase by the whole yard. Q. Q: I have a Back Jack that states it was manufactured by the La-Z-Boy Chair Company. How can I get a new cover for it or more Back Jacks? A. A: La-Z-Boy sold the manufacturing rights for the Back Jack to another company several years ago. You may contact B. J. Industries regarding these products. Their phone number is 410-686-5200. You can also find these products being sold through various online retailers. Q. Q: A friend or relative has a chair that fits me perfectly, but La-Z-Boy no longer produces that style. May I special order it? A. A: In an attempt to meet the various needs of our customers, we introduce new products twice a year. Unfortunately, to make room for the new styles, we must discontinue some as well. Once we have discontinued a style, we can no longer produce it. Please be sure to visit an authorized La-Z-Boy dealership to try some of the many other styles of furniture. A sales associate will be able to assist you with a piece of furniture to fit your needs. Q. Q: I would like to purchase furniture as a gift, what are my options? A. A: When purchasing furniture as a gift, remember comfort is subjective. What may be comfortable for you may not be for someone else. La-Z-Boy Incorporated produces many different styles of furniture to meet the various needs of our consumers. You may wish to purchase a gift certificate from a local dealer in the recipient's area. Gift certificates are not transferable, so it is important to purchase the certificate from a dealership near them. This allows the recipient to choose a style to fit his or her needs. In addition, their dealer will be in close proximity should their furniture require service. To locate an authorized dealer, please visit the Store Locator on this website. Q. Q: How do I register my La-Z-Boy product? A. A: With every La-Z-Boy product you will receive a booklet that gives our website address where you may register your furniture purchase. By registering your product, it enables us to learn more about you, our customer. Not registering your product does not affect the La-Z-Boy Limited Lifetime Warranty for your furniture. You may register your product(s) on our website by visiting theRegister Furniture link under 'Customer Care' on this website. You will be asked for the date you originally received the furniture in your home and also the information from the product identification tag which is stapled below the furniture. Q. Q: Does La-Z-Boy offer reupholstering services? A. A: La-Z-Boy does not offer reupholstering services. Please contact a local upholsterer for assistance in having your furniture recovered. Q. Q: Do you have factory outlets? A. A: La-Z-Boy does not have any factory outlets. Our products are only available through independent authorized retailers and national chains throughout the United States and Canada, as well as several international locations. These service-oriented dealerships strive to make your shopping experience as informative and exciting as buying new furniture should be. Please use theStore Locator on our website. Q. Q: I have purchased or am interested in purchasing a product from one of your subsidiary companies or one of their brand names (Hammary, Kincaid, England, American Drew and La-Z-Boy Hospitality). Who do I contact to register a complaint regarding my furniture or receive information regarding their products? A. A: All of our subsidiary companies assist consumers regarding their specific product(s). If you are interested in specific information regarding pricing, products, dealer information, service, or other, please contact that company directly for assistance. You may click on La-Z-Boy companies under 'About La-Z-Boy'link at the bottom of our website pages to see a list of our subsidiary companies. There, you may click on a specific company's link to their website. Q. Q: I plan to purchase a lift chair from La-Z-Boy and send paperwork into Medicare for partial reimbursement. Do you have the NSC number that Medicare requires? A. A: Dealers who sell our products, including lift chairs, are retailers of residential furniture, not medical equipment. Neither they nor we have an NSC number as our products do not meet the Medicare requirements. Q. Q: May I purchase directly from the manufacturer? A. A: About 90% of our upholstered products are available for purchase online or via telephone by calling 1-800-375-6890. The other 10% shown on the site but not able to be purchased are available in store at your local authorized La-Z-Boy retailer. Please use theStore Locator on our website and visit your local La-Z-Boy retailers for pricing and ordering assistance. Q. Q: Can you provide me with pricing information? A. A: The pricing is available on the website for 90% of our products. Just enter your zip/postal code to see accurate pricing, promotions, sales tax and delivery for your area. Then select the product of interest and see that the cover (fabric or leather) chosen determines the price. You can filter the covers by "On Sale" if there are current promotions, or sort by "Low to High" or "High to Low" price. The pricing listed applies to the cover selected. Products not offered online are available in store at your local, authorizedLa-Z-Boy retailers. Please use the Store Locator on our website to find the store nearest you. Q. Q: Where can I view your product line? A. A: For your convenience, we have included a highlighted sampling of our furniture from the hundreds of styles and wonderful fabrics that are available to complete the living space in your home. You may view our furniture by accessing furniture on this Web site. You may also view our furniture by visiting one of more than 300 La-Z-Boy Furniture Galleries who sell our products exclusively. Their well-seasoned staff of sales personnel and designers will assist you in transforming the rooms in your home into a spectacular showcase for your family. There are also more than 500 Comfort Studios that feature a special area dedicated to La-Z-Boy products. Some Furniture Galleries Stores and Comfort Studios offer the Screen Test® System which allows you to view the many combinations of fabrics and frame styles that can be produced and special ordered just for you. Remember, it is best to view the fabric swatches that the dealers have within their galleries for the best representation of color. Q. Q: I would like to customize or modify a piece of La-Z-Boy furniture. Can you tell me how? A. A: La-Z-Boy does not offer customizing of the original design of our products. Some products do have options available. Please contact a local La-Z-Boy retailer for more information. Q. Q: I have a recliner. How can I remove the back from it to make it easier to move or transport? A. A: This information and a diagram are listed in the operating instructions that accompany each La-Z-Boy product. On the lower portion of the back on each side there is a bracket that has a locking arm. The arms need to be raised up to a 30-45 degree angle in order to pull the back up and off the recliner. To put the back on, line it up with the brackets that come out from under the seat and gently slide it down into place. Then put the locking arms in the down position to lock the back on. Q. Q: May I order a swatch from you? A. A: Your Local La-Z-Boy retailer has the ability to order swatches through their normal channels. Please contact them directly for assistance. Q. Q: Can I purchase slipcovers from you? Q. Q: When ordering a recliner, may I request to have the handle located on the left side instead of on the right? A. A: Many of our recliners can be ordered with the handle on the left side. This option would have to be special ordered, since all of our recliners are manufactured with the handles on the right. Q. Do you have furniture for people with special needs? A. La-Z-Boy Incorporated manufactures a diverse selection of furniture styles in an attempt to meet the various needs of our customers. Our residential division produces an electric powered lift chair, which is operated by a hand control. It assists with seating, exiting, reclining and raising and lowering the footrest. It proves beneficial for persons with limited mobility. 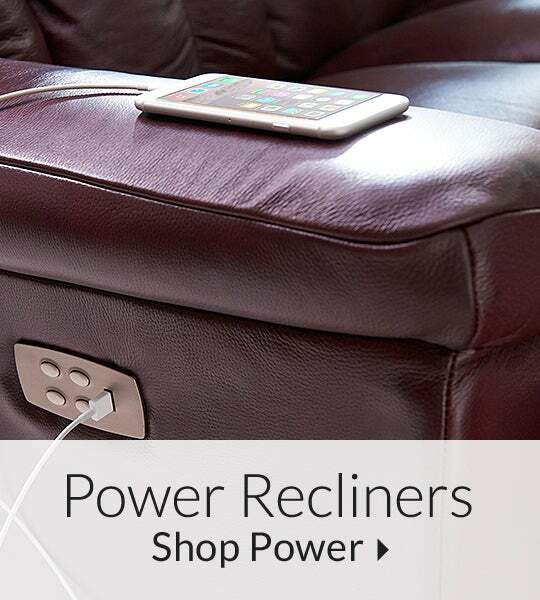 To view the styles we offer as lift chairs please visit Luxury-Lift Power Recliner under 'Our Furniture Line' then 'Collections'. For further information regarding our lift chairs, please contact the nearest authorized La-Z-Boy retail dealership. Q. I have a Wall Recliner. Can I have a swivel base put on it? A. Due to the design of the mechanism for this style of recliner, a swivel base cannot be put on a Wall Recliner. Swivel bases can only be installed on a Reclina Rocker. A swivel base is considered an option on the Reclina Rocker, so there would be an additional cost. Your authorized La-Z-Boy dealer will be able to advise you of the charge. Q. Where can I view your product line? A. For your convenience, we have included a highlighted sampling of our furniture from the hundreds of styles and wonderful fabrics that are available to complete the living space in your home. You may view Our Furniture Line on this website. You may also view our furniture by visiting one of more than 328 La-Z-Boy Furniture Galleries who sell our products exclusively. Their well-seasoned staff of sales personnel and designers will assist you in transforming the rooms in your home into a spectacular showcase for your family. There are also more than 449 in-store galleries, also known as Comfort Studios, which feature a special area dedicated toLa-Z-Boy products. Some La-Z-Boy Furniture Galleries and in-store galleries offer computerized rendering software which allows you to view the many combinations of fabrics and frame styles that can be produced and special ordered just for you. Remember that it is best to view the fabric and leather swatches the dealers have within their galleries. Q. May I order a swatch from you? A. Your Local La-Z-Boy retailer has the ability to order swatches through their normal channels. Please contact them directly for assistance. Q. May I purchase fabric yardage from you? Q. My dealer has placed an order for furniture or parts? Can I check the status? A. Please contact the authorized dealer from whom you placed your order. They will be able to help you find out when to expect your part(s) or new furniture. As the corporate office for the upholstered furniture manufacturer, we do not have access to the independent retailers' sales or service records. Q. Q: The springs in my Reclina Rocker squeak. Can I lubricate with 3 in 1 oil? A. A: We recommend that you first contact your dealer. They would be able to inspect your chair and diagnose the specific problem your chair is encountering and then offer a solution. However, if lubrication is needed, we recommend that only a clear mineral oil be used to lubricate the mechanism and that rivet locations are not lubricated. Be sure to first use a drop cloth before lubricating the mechanism to ensure that none of the oil drips onto your carpet. Q. Q: The dealer is going to charge me to replace the mechanism on my recliner. Isn't this covered under my lifetime warranty? A. A: It depends on when you purchased your chair and what style it is if the mechanism is covered under the La-Z-Boy Limited Lifetime Warranty. To review warranty information, please visit the Warranty section on this website. Q. Q: My chair is noisy when I lower the footrest, is this normal? A. A: Since there are moving metal parts in our reclining mechanisms, there will be some noise involved when releasing the footrest. To lessen the noise, we suggest releasing the handle slowly when disengaging the footrest. Additionally, distributing your weight evenly on the seat, while slightly raising your feet from the footrest when releasing the handle, will also decrease the noise level. We want to ensure that our customers are satisfied, so if you have any questions regarding your furniture and how it operates, please contact the dealer from whom you made your purchase. They have years of experience selling and servicing our furniture, and they will be able to ensure that your furniture is operating properly. Q. Q: The frame on my furniture is in need of repair. Is this covered under the warranty? A. A: It depends on when you purchased your furniture and what style it is if frame parts are covered under the La-Z-Boy Limited Lifetime Warranty. To review warranty information, please visit the Warranty section on this website. Q. Q: How do I care for my leather furniture? A. A: La-Z-Boy offers several different types of leather upholstery for its furniture. If cared for properly, this natural material will maintain its beauty and usefulness for many years. Direct exposure to strong light can cause any leather to fade, so always protect leather from direct sunlight or other intense light sources. Daily or weekly dusting and vacuuming with a brush attachment is recommended for normal maintenance of leather. For detailed information regarding our leather line and its care and maintenance, please visit theFabric and Leather Care section under 'Customer Care' on this website. Q. Q: How do I clean my fabric? A. A: To successfully clean fabric, it is important to determine the type of fabric and the recommended cleaning code. This information can be found on the identification tag attached to the furniture. For any type of cleaning, we recommend that a professional upholstery cleaner be contacted. For additional information and cleaning codes, please visit the Fabric and Leather Care section under 'Customer Care' on this website. Q. Q: The cushions for my furniture have flattened. Is this covered under the warranty? A. A: Depending on when you purchased your furniture and what type of poly/cushioning you have will determine the coverage under the La-Z-Boy Limited Lifetime Warranty. To review warranty information, please visit the Warranty section on this website. Q. Q: The tailoring on my furniture is not the same as the furniture in the dealership's showroom. Why? A. A: Since our manufactured furniture allows for some minor tailoring tolerances, your furniture may not look exactly the same as the furniture in the dealer's showroom. It is the dealer's responsibility to ensure that your furniture meets manufacturing specifications before it is delivered to you. If you have questions regarding the tailoring of your furniture please contact the dealer from whom you made your purchase for assistance. Q. My furniture is not comfortable. May I exchange it? A. La-Z-Boy Incorporated prides themselves at producing fine, quality home furnishings for you and your family. We manufacture several different styles of furniture in an attempt to meet the needs of all of our various customers. Generally, the seating comfort is selected at the time the order is placed at the local retail dealership. If you have a concern regarding the comfort of your furniture, please contact the independent retail dealership where it was purchased. They will need to inspect the product to determine if it meets our manufacturing specifications. If they find that it does, the dealer would not be able to make any changes to the product. Since these authorized La-Z-Boy dealerships establish their own policies regarding refunds, exchanges, etc., the option of an exchange or refund would need to be addressed with them. Q. My furniture was not delivered in its original shipping box, or the box was opened when my furniture was delivered, why? A. Upon receipt of our furniture, it is the dealer's responsibility to "prep" the furniture just as a car is prepped before it is delivered to the consumer. In order for the dealer to do this, they must open the boxes and remove the furniture to ensure that everything meets our manufacturing specifications. Many dealers will then return the item back into the shipping box and some will blanket wrap the merchandise before delivering to your home. Q. What if after I receive my new furniture, I decide it doesn’t coordinate with my home décor as well as I thought it would. May I exchange it? Q. If I have purchased furniture and notice that the item(s) have since gone on sale, may I receive the sale price? A. This would be the decision of the independent retail dealership. Normally the dealer's sale prices do not take effect until the day of the sale, so any type of price adjustment(s) would be at the dealer's discretion. A. La-Z-Boy Incorporated prides themselves at producing fine, quality home furnishings for you and your family. We manufacture several different styles of furniture in an attempt to meet the needs of all of our various customers. Generally, the seating comfort is selected at the time the order is placed at the local retail dealership. If you have a concern regarding the comfort of your furniture, please contact the independent retail dealership where it was purchased. They will need to inspect it to determine if it meets our manufacturing specifications. If they find that it does, the dealer would not be able to make any changes to the product. Since these authorized La-Z-Boy dealerships establish their own policies regarding refunds, exchanges, etc., the option of an exchange or refund would need to be addressed with them. Q. What if after I receive my new furniture, I decide it doesn't coordinate with my home décor as well as I thought it would. May I exchange it? A. We are confident that the sales staff at the authorized retail dealerships will work closely with you to choose home furnishings that will compliment your existing accessories. In the unlikely event that you purchase a piece of furniture and find that it does not coordinate with your home decor, please contact your dealer for assistance. These independent retail dealerships establish their own policies regarding exchanges and refunds, so be sure to inquire as to what those policies state before you purchase. Q. Where can I obtain financial information about La-Z-Boy Incorporated? A. For financial information such as our Annual Report, please visit Investor Relations on this website under 'About La-Z-Boy' on our home page. Q. I have a question or comment regarding the website, whom should I contact? A. Your questions or comments are important to us. Please send them using our Contact Us form. Q. If I am experiencing difficulties with the website, can I contact someone for help? A. We want our visitors to have a pleasant experience at our website. If you need assistance, please use our Contact Us form. Q. How do I clean my fabric? A. To successfully clean fabric, it is important to determine the type of fabric and the recommended cleaning code. This information can be found on the identification tag attached to the furniture. For any type of cleaning, we recommend that a professional upholstery cleaner be contacted. For additional information and cleaning codes, please visit the fabric care section for fabric on this Web site. Q. How do I care for my leather furniture? A. La-Z-Boy offers several different types of leather upholstery for its furniture. If cared for properly, this natural material will maintain its beauty and usefulness for many years. Direct exposure to strong light can cause any leather to fade, so always protect leather from direct sunlight or other intense light sources. Daily or weekly dusting and vacuuming with a brush attachment is recommended for normal maintenance of leather. For detailed information regarding our leather line and its care and maintenance, please visit the fabric care section for leather on this Web site. Q. I have been receiving ads and sales information from a local La-Z-Boy retailer. Can you remove me from your mailing list? A. We, the furniture manufacturer, do not maintain a mailing list. Please contact the local La-Z-Boy retailer, who should be listed on any mailing you are receiving, and advise them of your request to be removed from their list. Q. I saw an advertisement for La-Z-Boy furniture and would like some additional information. Whom should I contact? A. If you have questions regarding national advertisements, such as the ones seen featured in magazines and television commercials, please contact us using our Contact Us form. For questions regarding local advertising or sales for the independent retail dealerships, please contact those stores directly for assistance. Q. Is there a catalog of La-Z-Boy Styles? A. You may request our product catalog to be mailed to you on our website. There is a form to fill out under the heading 'Our Furniture Line' and the subheading 'Product Catalog'. Q. I have a family member who lives outside of the United States and Canada and I would like to ship them a piece of La-Z-Boy furniture. May I purchase it in the United States or Canada and have it shipped to them? A. We suggest that the furniture be purchased near the recipient since shipping charges from the U.S. or Canada to another country can be very costly. If you choose to do this, you would need to arrange your own export shipping. For information on the nearest international dealer, please click on Contact Us at the bottom on our website and fill out a customer service form. We will contact you back to let you know if there is a retailer in or near a specific country that can assist you. Q. Do international dealers sell the same products that are sold in the United States? A. Our international dealers may offer some products that differ from the products sold in the United States and Canada. The international dealership would need to be contacted directly for this information. To locate an international dealer, please use theContact Us link on this website and fill out a customer service form. We will contact you and let you know if there is a retailer in the country you are interested in purchasing in. Q. If my furniture needs service or replacement parts, and I move or don't have access to my original dealer, who should I contact? Every authorized La-Z-Boy dealership employs knowledgeable, well-trained service personnel to assist customers. In the event that your furniture requires service assistance or replacement parts, please contact your nearest dealer. For a listing of all authorizedLa-Z-Boy dealers, visit the Store Locator on this website. Please have your dated receipt as proof of purchase available as well as the information listed on the product identification tag stapled below your furniture. A. Please contact the authorized dealer from whom you placed your order. They will be able to assist you in determining when to expect your replacement part(s) or new furniture. Q. My dealer is going to charge me for labor to repair my furniture. Isn't this covered under my lifetime warranty? A. It depends on when you purchased your furniture if labor charges are covered under the La-Z-Boy Limited Lifetime Warranty. To review warranty information, please visit the Warranty section on this website. Q. The dealer is charging me with a trip fee to come to my home. Isn't this covered under my lifetime warranty? A. Every La-Z-Boy product is warranted by our Limited Lifetime Warranty, which is one of the best warranties in the industry. While the dealers, who are experts in the field, provide service under the warranty, there may be some additional charges such as trip fees, and/or inspection fees that our warranty does not provide for. Please be sure to check with your dealer when contacting them for service. Q. If I have a question regarding billing or financing, who should I contact? A. Please be sure to contact the independent retail dealership from whom you made your purchase. La-Z-Boy Incorporated does not handle billing or financing for any of the authorized dealerships. Since these dealers establish their own policies and procedures regarding the terms of the sale, billing, financing, etc., any questions regarding the sale of your furniture should be directed to them. Q. I plan to purchase a lift chair from La-Z-Boy and send paperwork into Medicare for partial reimbursement. Do you have the NSC number that Medicare requires? A. Dealers who sell our products, including lift chairs, are retailers of residential furniture, not medical equipment. Neither they nor we have an NSC number as our products do not meet the Medicare requirements. Q. May I pick up my furniture instead of paying for a delivery charge? A. If you have a vehicle large enough to transport your furniture, you may pick it up. However, once the furniture is outside of the dealer's building, the responsibility lies with the customer, so please practice extreme care when transporting your new furniture home. If an unfortunate mishap does occur while you are in transit and your furniture is in need of repair, the dealer can assist, however it would be at the customer's expense. The La-Z-Boy Limited Lifetime Warranty covers repairs needed due to manufacturing and material defects only. Please note that some retailers may still charge a fee to have the furniture transferred from their warehouse to the store for customer pick-up.